Pilbara Real Estate is 100% locally owned and operated. Rob Sleator leads an experienced team with over 50 years combined Real Estate experience in the Pilbara. The busines employs 18 staff, which is large enough to handle large projects and small enough to care. All business divisions are integrated to provide comprehensive Real Estate Serice. We’re recognised for outstanding service and a commitment to getting results, whether it’s working diligently to manage investment properties, securing the best possible price on a sale or finding the perfect property to meet the requirements of our buyers. Pilbara Real Estate are experts at providing services and advice designed to help maximise rental return. 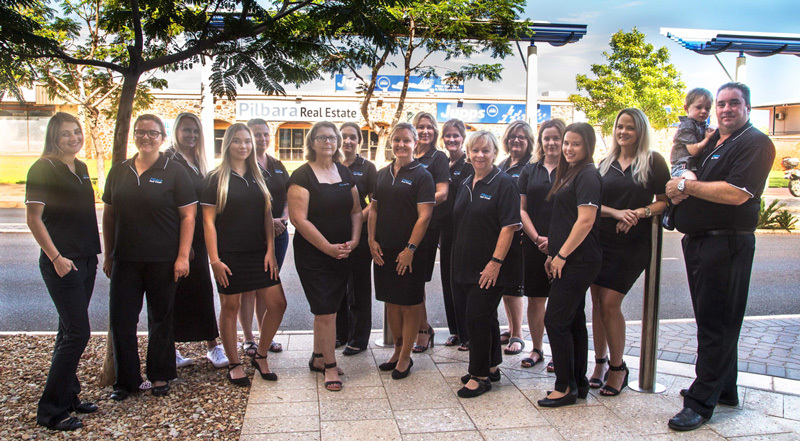 At Pilbara Real Estate you can be certain you’ll get great service from a team of dedicated, honest and reliable professionals, and because we are Karratha owned and operated, we throw in the local knowledge for free.